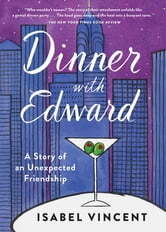 The main character describes how lost she feels after her divorce and how dinner with the warm and compassionte edward helps her. The book is well written and has great dialgues and references to journalism and history of new york. However, I stopped reading after i've read more than half of it, because i started to dislike the main character, who is so full of self-pity it ruins the book. All she does is complain. She has a daughter but hardly mentions her. Because she's so busy complaining about her own life. When she started whining about how her big antique expensive couch didn't fit in her new appartement, i stopped reading. Wonderful book. An easy read. 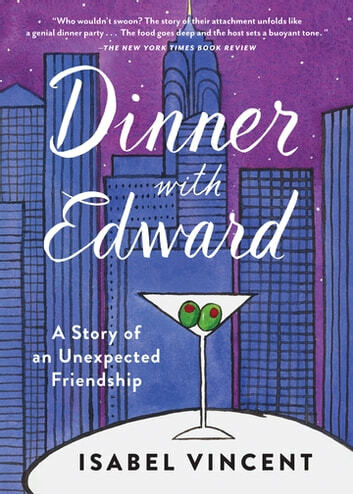 Friendship and food that save two people. A wonderful story. Very engaging and poingent. Certainly relatable to any adult. The ending was a bit abrupt for my taste. Easy sentimental read with a lot of good cooking ideas and combinations of food.love never dies and two people gained in support in a time of need. The father one always wishes for. The food you you'll want to make. The love and friendship we are all capable of.